The FCC's unanimous vote Thursday comes after an eight-year debate about opening up the so-called spectrum white spaces to wireless devices. U.S. television stations, wireless microphone makers, sports leagues and churches had opposed the move because of their concerns about potential interference with existing TV channels and wireless microphones, which already operate without FCC licenses in the same spectrum. Commission Chairman Julius Genachowski called the vote a major step forward for broadband service and innovation in the U.S. The white spaces spectrum will be "super Wi-Fi," with longer range, faster speeds and more reliable service than traditional Wi-Fi, he said. "Today, we open a new platform for American innovation," he said. "This is important and will enhance our economy, strengthen our global competitiveness, lead to billions of dollars in private investment and to valuable new products and services." The FCC vote marks the first "significant" release of unlicensed wireless spectrum in 25 years, Genachowski said. The last major FCC action on unlicensed spectrum, opening up so-called "junk" spectrum in 1985, led to the development of Wi-Fi, he noted. Several tech vendors and consumer groups praised the FCC's vote. "As more people access information via mobile and other intelligent devices, additional strain is being put on existing wireless networks," Craig Mundie, Microsoft's chief research and strategy officer, said in a statement. "With this vote, the commission is taking a forward-looking view of how to optimize spectrum allocation by capitalizing on evolving technologies. As a result, technology companies will be able to develop new applications that tap into the potential of white spaces networks." The FCC's action is a "great step forward" for consumers looking for new wireless products and services, added Harold Feld, legal director of Public Knowledge, a digital rights group. "White spaces technology ... will be adapted to uses ranging from adding flexibility to laptops and tablet computers, to extending broadband access to underserved people in rural and urban settings." The FCC's vote Thursday addressed 17 petitions for reconsideration of a November 2008 white spaces vote by the commission. Commissioners voted to revamp parts of the original order, the initial step to opening up the white spaces to wireless broadband devices. In an effort to protect wireless microphones from interference, commissioners voted to set aside two TV channels nationwide for wireless microphones. Those channels should allow 12 to 16 wireless microphones to operate in an area at the same time, said Hugh Van Tuyl, a senior staff engineer with the FCC's Office of Engineering and Technology (OET). Wireless microphone maker Shure applauded the FCC's decision to set aside channels for microphones. "It's clear that the FCC carefully considered the needs of wireless microphone users while crafting this order," said Sandy LaMantia, Shure's president and CEO, in a statement. "The reserved channels will provide a safe harbor in which musicians, small theaters, houses of worship, and businesses can operate their wireless microphone systems without interference from new TV band devices." "NAB's overriding goal in this proceeding has been to ensure America's continued interference-free access to high-quality news, entertainment and sports provided by free and local television stations," said Dennis Wharton, the trade group's executive vice president of communications. Also on Thursday, the FCC voted to revamp its E-Rate program, a US$2.3 billion-a-year subsidy program to help schools and libraries connect to the Internet. 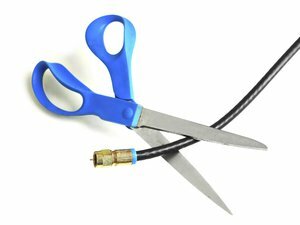 The commission's vote removes the spending cap on E-Rate by allowing the fund to increase with inflation, and it allows schools and libraries to spend E-Rate funds to connect to so-called dark fiber, unused fiber-optic networks that may be owned by competitors to traditional telecom carriers.